Virgin Media is squaring up to web services like iTunes and Spotify with a music streaming and download service called MusicFish. Due to launch this summer, the service will work along the lines of premium Spotify deals. It is suggested that Virgin will charge a certain amount a month for access to the service which would include unlimited ad-free online streaming and mp3 downloads of songs (not sure what the limit on downloads is). The monthly price will be released closer to the launch but we imagine it will be somewhere near the Spotify Premium fee of £9.99. They have already signed a deal with Universal, and hope to close talks with EMI, Sony and Warner to get as full a catalogue of songs as possible. 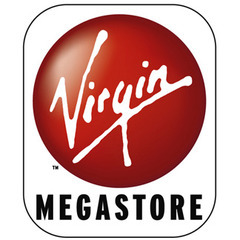 With sales of CDs falling and music shops closing down, it makes sense for Virgin to move into digital streaming and sales. My only question: where does the Fish come from? I know Spotify is a slightly silly name when you think about it… but “Musicfish”? It sounds like a children’s TV character. I suppose the “user-fish” swimns around in the music stream, but I reserve the right to find it all slightly comical. Shiny Poll: How much would you pay for the Apple Tablet?